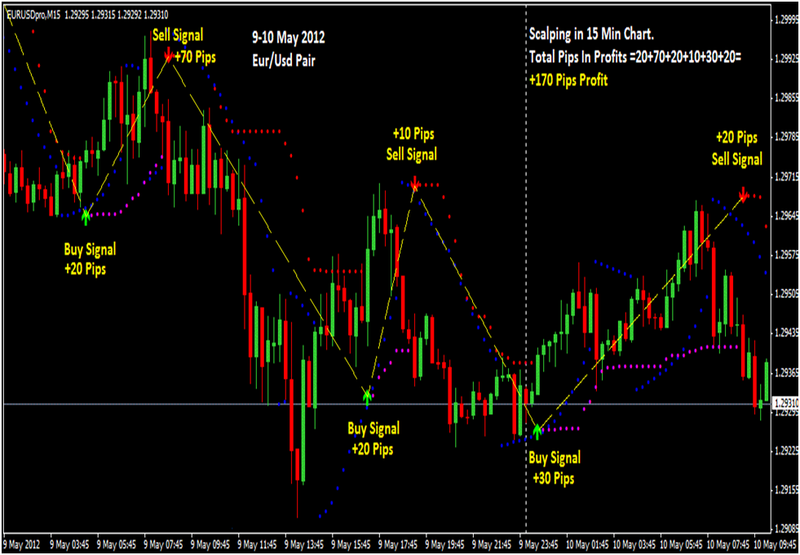 Strategy is very useful for those traders, who use scalping strategies (Forex). This strategy uses two indicators - Parabolic (PSAR) and MACD-combo (12,26,9). User should open the transaction looking on signals of these two indicators. However, these signals should be truly agreed with first — third bars after user points indicator PSAR. Time interval can be from 15 minutes to 30 minutes. Author suggests 30 minutes, but he also say that in some situations it can be 15 minutes. This strategy works with any currency pair. For stop-loss, author recommends a place under (over) the point of PSAR indicator. It can also be a place under low or high last candle. User should take a profit when display shows 10-30 pips. Adviser «trailing stop of 1 item advisor for MT4» can help with this. To make it useful, a trader should set the required parameters.